2013’s Escape Plan was by no means a great movie but certainly entertaining, not so much for its plot but seeing two 1980s titans Sylvester Stallone and Arnold Schwarzenegger go mano a mano was something that was a lot of fun. 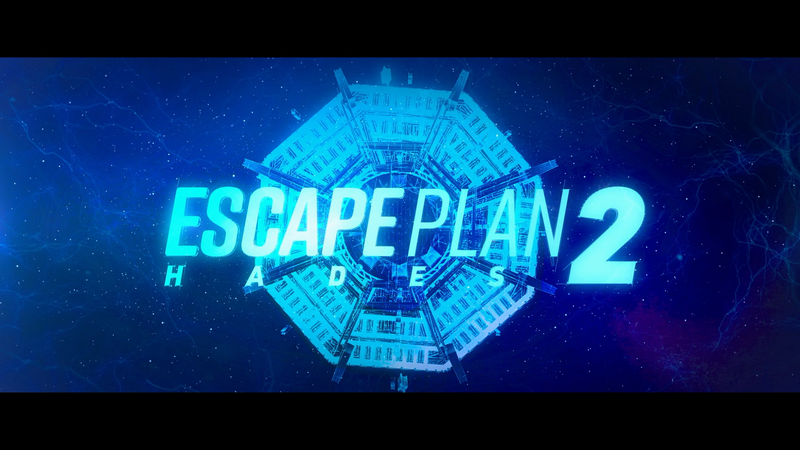 Five years later, thanks to a good overseas haul ($112M, $40M of it from China alone), Escape Plan 2: Hades was born. And I swear I was stuck in the hellish underworld while watching this. 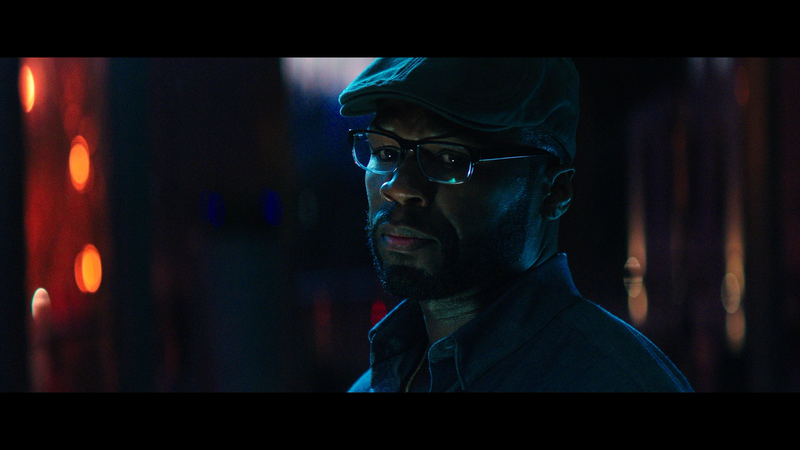 What I guess passes as a plot, Escape Plan 2 finds Ray Breslin’s (SYLVESTER STALLONE) security consulting business has grown, with Hush (CURTIS JACKSON) still doing his cyber work, and when the film opens, the hostage rescue from Chechen terrorists goes awry thanks to the analytical and algorithmic team member, Jaspar Kimbral (WES CHATHAM), who upon returning home is quickly fired. When Shu Ren (HUANG ZIAOMING), another one of Ray’s employees, takes a leave, he’s hired to protect his cousin Yusheng Ma (CHEN TANG) who has developed a dangerous program, a skeleton key that can unlock any system in the world, and his rivals would do anything to obtain the code. Or something. In any case, the two are attacked and taken to a super-duper secret prison called “Hades”, and it’s not just any prison, it’s where the inmates fight on specific days, with the loser being withheld food and the winner given two hours inside a sanctuary where they may relax. Inside with them, Kimbral had also been taken, clearly Breslin has been targeted as he had made enemies following the collapse of “The Tomb” from the first film. As the team discovers Ren is missing, they go into action tracking down sources, leading Breslin to visit an old friend named Trent Derosa (DAVE BAUTISTA) while Hush does his hacking skillz in an attempt to find the location of “Hades”, all the while Ren uses what Breslin taught him in order to find a way to formulate, ahem, an escape plan. Wow, I’m not even sure where to start with this sequel. As I said, the first Escape Plan wasn’t amazing, but it was still entertaining as all hell, but Escape Plan 2: Hades was a mess of a movie with not one thing that I could say was good. The direction by Grindstone’s go-to man Steven C. Miller (Marauders, Arsenal) was chaotic, utilizing the handheld technique 90% of the time; a poorly written screenplay with a lame plot and predictable twist; the editing was jumbled and awfully confusing; visual effects were amazingly amateurish, going so far even muzzle flashes were CGI’d; characters were thinly written and the acting was mediocre with Stallone, despite being top billed, was more of a supporting player; the true leading actor was Huang Ziaoming, makes sense since the movie was made for the Chinese market. Admittedly I went into Hades with low expectations and yet, give it to Grindstone they manage to go even below those and reached the gutter. This is an astonishing drop in quality from the first film, even if you take into consideration a likely stripped back budget (from $54M to a reported $20M, a fair size likely going to Stallone, Bautista and Curtis Jackson). However, I guess the filmmakers and producers had enough faith with Escape Plan 3 already wrapped production, likely will be released sometime in 2019. This release comes with a title-embossed and glossy slip cover. Inside is a redemption code for the Digital HD copy. 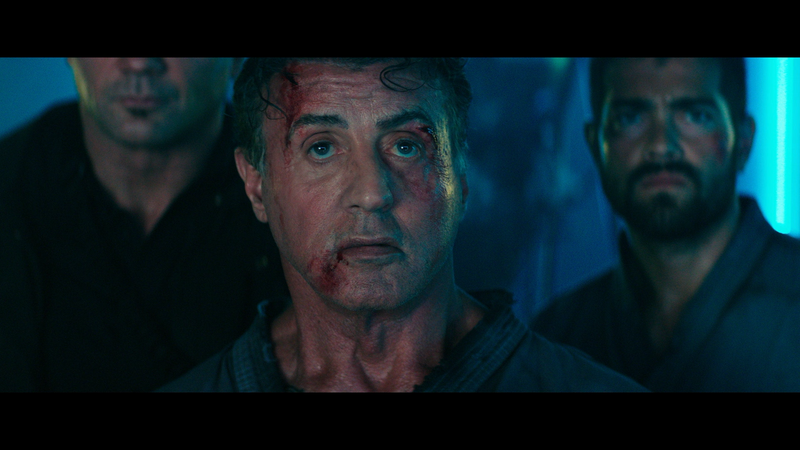 Making Escape Plan 2: Hades (9:57; HD) is a behind-the-scenes featurette with interviews by members of the cast and crew (except Stallone) discussing the story and characters. 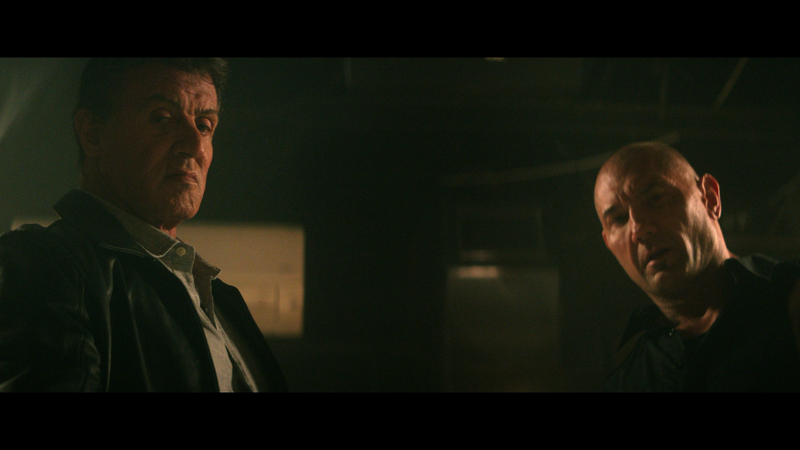 Creating the Look of Escape Plan 2: Hades (3:32; HD) focuses on the production design of the film. Building the Robot of Escape Plan 2: Hades (4:04; HD) is a close look at the design of the robot that is the core of the prison. The movie might not be any good, but at least the 1080p high-definition transfer looks pretty dam good. The film is presented with a 2.40 widescreen aspect ratio and the picture itself is incredibly sharp throughout, but where the transfer shines is with the colors which vividly popped off the screen. The included DTS-HD Master Audio 5.1 track is rather strong with high-quality depth, most notably with the voice over the loudspeaker, as well as general dialogue levels which were crisp and clear. 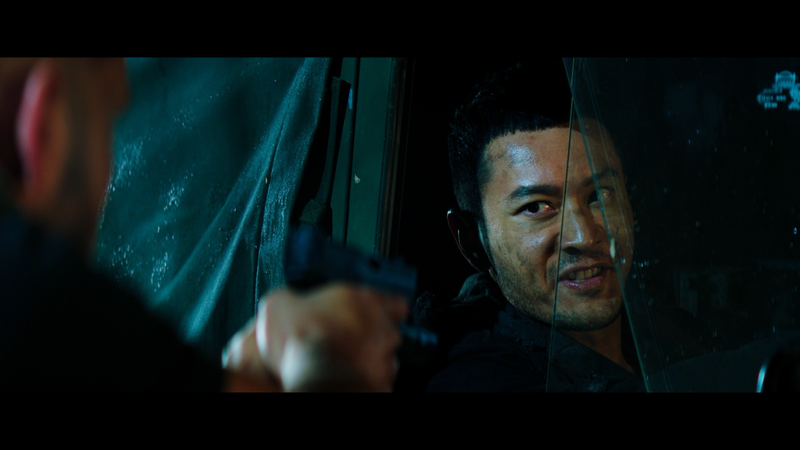 The rear channels are relatively quiet but do come to life with the few action sequences. 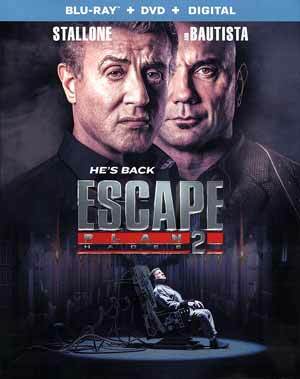 On the one hand I was disappointed with Escape Plan 2 given how fun the first movie was, on the other I can’t be too surprised given it was DTV/On Demand and is from the Grindstone Entertainment production company. Even with the poor reviews, I’m hardly the only one, there is a third film that recently wrapped, so I can only hope perhaps that one will deliver, I just won’t hold my breath.